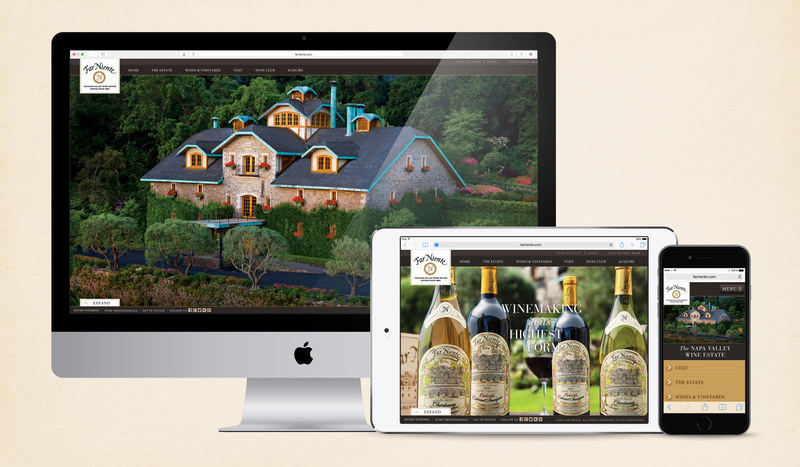 Far Niente Winery – designthis! 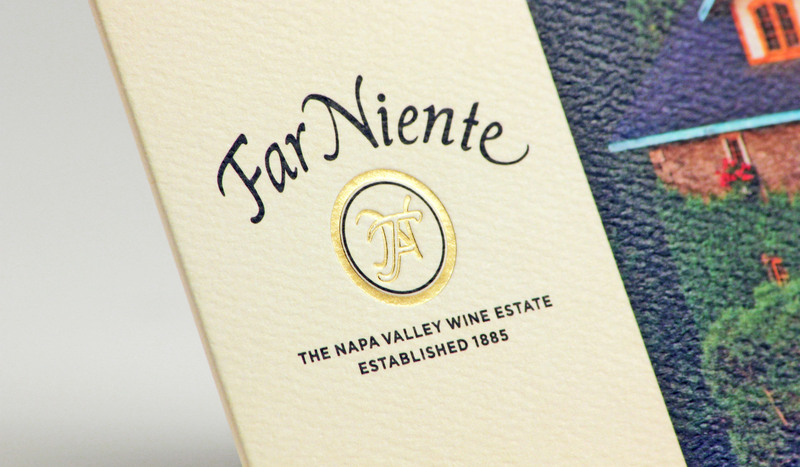 Far Niente is consistently recognized as a benchmark producer of Napa Valley Chardonnay and Napa Valley Cabernet Sauvignon, and their quality and dedication has established themselves as one of the world’s great wine estates. They approached designthis! to design for their numerous marketing needs, including tasting brochures, wine club gift packaging and event invitations, to name a few. 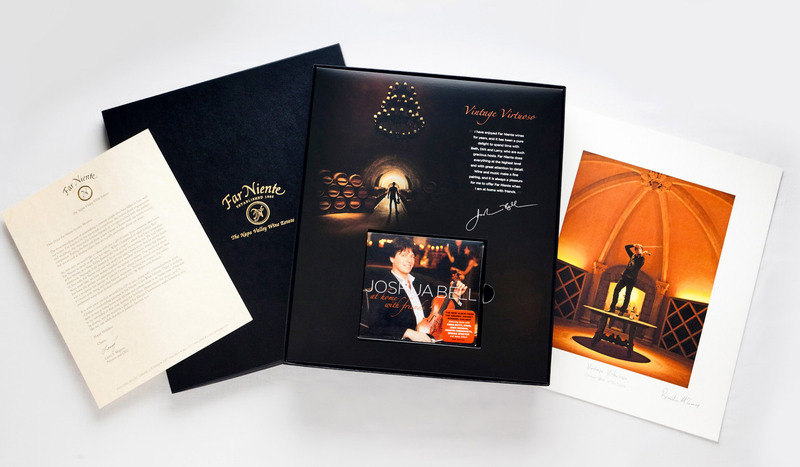 With a such a high reputation to uphold, our challenge was to communicate their grand, luxurious and high-quality essence through each of their marketing materials. 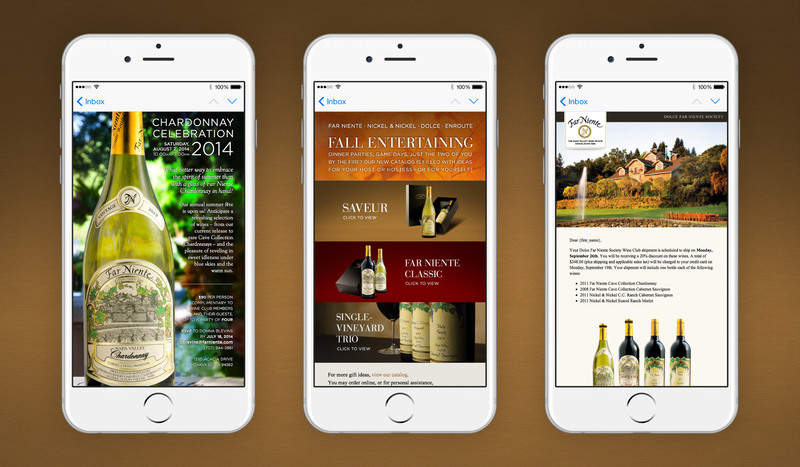 To successfully and consistently communicate our vision for Far Niente’s brand, we understood that every component and element in every marketing piece would need to be directed with control and finesse. Starting with their photography, designthis! directed the style of their several property shots and product shots that would be used in their materials. In their web collateral, we strived to establish an ‘elegant simplicity’ — let the beautiful estate imagery shine, with support of classic typography. With their print collateral, we incorporate various textures and embellishments to elevate the quality. 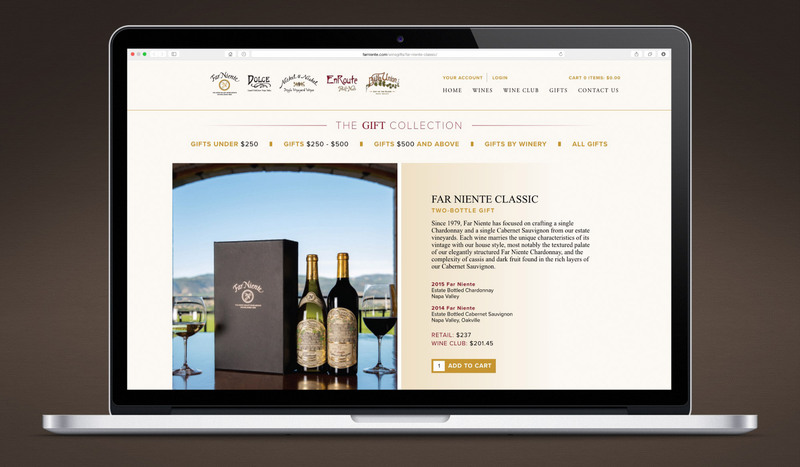 As Far Niente continues its growth, our design and branding efforts continue to communicate the beauty, charm, grandness and quality that the winery is all about. The latest website design substantially increased their online sales with its easier user experience and pleasing aesthetics. 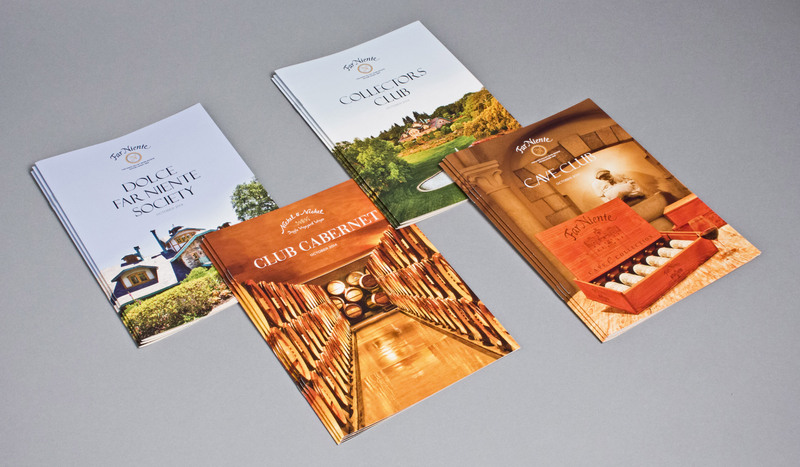 From wine club brochures to event invitations, the visual communication that club members receive year after year reaffirms their excitement and devotion to the winery.